Apologies for the very long delay between posts. 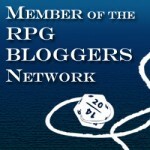 Between then and now has been a con, D&D Encounters (which I still haven’t gotten around to blogging about) and a few different things. But honestly, I haven’t feel really motivated like I used to, until now. When I received word through my several intelligence networks that Wizards of the Coast are definitely working on 5th Edition. There had been rumours before, but this is the first time we had anything really official. I promise later I will do an update, with a post on Macquarie Con as well as a how-do on Encounters and Pathfinder. But for now we return to where I really like blogging about, opinions and views on gaming in general. So, here it is officially by Wizards. And I have to say that I had rather mixed feeling about this announcement, particularly after the hoo-hah with Essentials. Part of me is a little annoyed, given how I have invested so much in 4th Edition emotionally as well as with money and time. It seems to be the case with a lot of things these days, we get used to something and then they change it. However, I am open to seeing what it is like and have signed up to be a playtester. But did you hear that? That rumble in the air is the sound of a full-fledged edition war. And I’ve just gotten over the last one. To be honest, I am sick and tired of edition wars. There’s a lot of vitriol based on very little information, even now when 5e has only been announced. A lot of the very negative views about 4th Edition are spouted by gamers who not only have never played, but have little to no idea what it is about. They may have flipped through the players handbook in a gaming store and that’s about it. A 3.5 DM I know what convinced that there are no Bards in 4e, that is until I showed him my character sheet that had “Bard” written at the top. From what I am seeing on the Interwebs, there are some terribly stubborn gamers out there who’d rather close their eyes and stick their fingers in their ears than accept the fact that 5th Edition is coming. This article shows a good way of preparing yourself, and may persuade people to not join the tinfoil hat brigade. So yeah, as exciting as the idea that 5e is coming is, I am not looking forward to these whingeing people objecting to an inevitable change. Seriously, grow up guys. ~ by katanageldar on January 13, 2012. I’m personally excited about giving “D&D Next” a try, but I’m probably going to stick to 4e for my home campaign because this is still my first successful campaign and I don’t want to interrupt it to convert to a new edition.